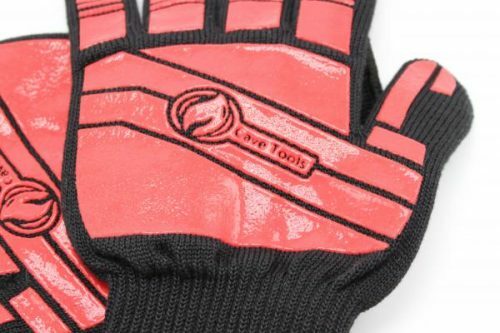 Cave Tools has today made public three as yet unreleased facts about its Heat resistant gloves ‘Cave Tools BBQ Glove Oven Mitts’, now available at Amazon, which fans and consumers within the Home and Outdoor space should find particularly interesting. The idea for creating Cave Tools BBQ Glove Oven Mitts came about after many of our customers love using our other products, but they get hot when near the grill. They made these special heat-resistant gloves to use with our other products to make cooking safer at temperatures up to 662 F. Now that’s hot! Cave Tools BBQ Glove Oven Mitts had been in development for 6 months and had a team of five working on it, which is considered small by industry standards. This goes to show Cave Tools not only focuses on it’s production with a small team, but also listens to our customers and respond to what they ask for. They even throw in 25 professional recipes with a purchase of gloves. Cave Tools got it’s start when founder Mike “Medium-Rare” O’Donnell noticed a growing need for cooking and barbecuing without burning yourself.. With ten years prior experience in the Home and Outdoor world, Mike “Medium-Rare” O’Donnell decided to go ahead and start in 2013.